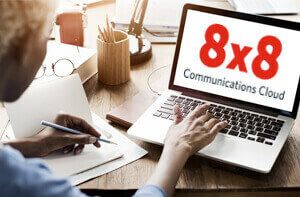 8x8 ContactNow Gives Trendzer Room to Grow | 8x8, Inc.
Trendzer is a rapidly growing company that is adding locations inside and outside the UK. With their old system, having sales agents in multiple locations would cause potential issues, which is the top reason they were on the lookout for a new telephony solution. Another driver for the change was their previous dialing system required a lot of custom coding and scripting to meet their requirements. It had become difficult and time consuming to work with. Trendzer needed a cost-effective solution with a range of features. It also needed to be easy to use to expedite new agent training. 8x8’s 8x8 ContactNow solution fit the bill. 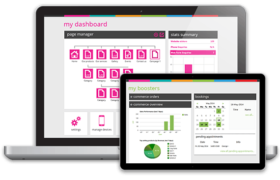 Once Trendzer made their decision to switch, the transition to 8x8 ContactNow was seamless. It took less than a day to transfer from the old system, with minimal disruption to services. Trendzer started by only using a few of the features and slowly began using the more advanced capabilities as they were needed. As the system is so intuitive, training agents was very straightforward. Trenzer finds 8x8 ContactNow’s pay-as-you-go billing model is very convenient. They “top up” their account as needed, so their costs scale up and down as campaigns are launched or needs change. They spend only when and what they plan to use. For outbound calling, the 8x8 Progressive Dialer is a great time saver because Trendzer agents don’t need to dial manually. This reduces wait time, eliminates errors and dramatically increases productivity. Trendzer also uses Predictive Dialing to reduce inactive periods and maximize talk time. The app dials ahead to ensure the agent’s next call is immediately connected to a live customer, not a voicemail box or an inactive line. Using 8x8 ContactNow has drastically improved the way agents and customers experience calls. Trendzer uses the system both for outbound website and remote SEO training, sales calls, and for inbound customer support. As Trendzer works with different industry partners, it’s vital that inbound call management works well and the agents can easily see the details for each customer. Now customers get to speak to the right agent right away, without needing to be transferred. Having more reliable and robust records of, and access to, previous call recordings has helped Trendzer learn more about what works and what doesn’t and they can use call examples for training purposes. 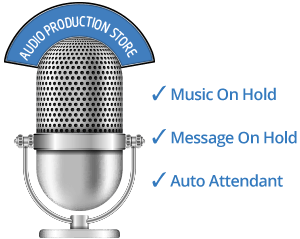 The call recordings are now stored on the cloud giving Trendzer great savings on server space. The 8x8 ContactNow analytics are used to measure their key performance indicators (KPIs) for daily call time, sales revenue and amount of quotes, which helps the sales managers with predictions and development. In the future, Trendzer is planning to use the IVR functionality to further improve and customize how they manage inbound calls. As a company experiencing continual growth, a simple and flexible solution was essential for Trendzer. 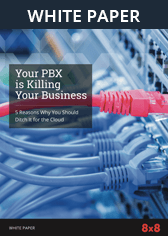 “8x8 ContactNow has simultaneously simplified and improved our telephony operations. The flexible billing options are especially beneficial to us,” says Richard Russell, Sales Manager at Trendzer.